Welcome to Day #7 of Chocolate and Ecuador Theme Week, and Day #1 of Chocolate and Mint Theme Week. Nothing like a little refreshing mint in the morning, or any time of the day. 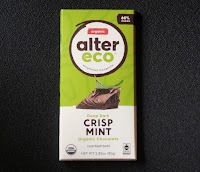 Today's Deep Dark Crisp Mint Organic Chocolate bar was distributed by Alter Eco in San Francisco, CA. 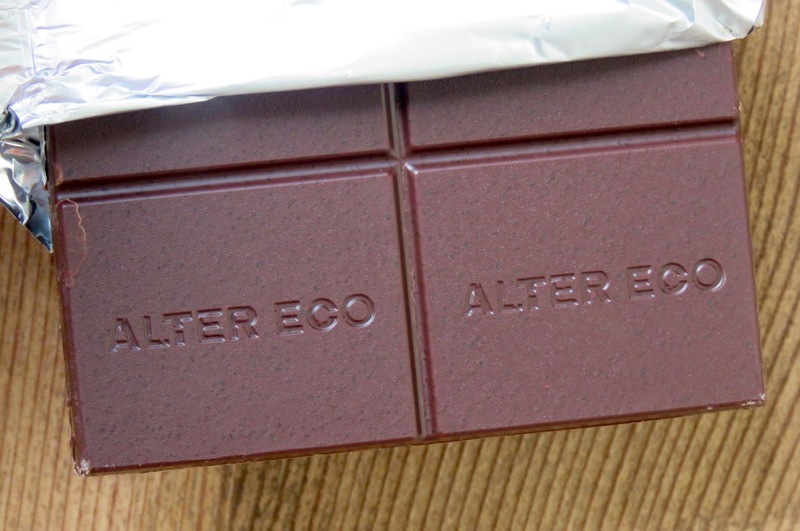 This Swiss-made, 60% cocoa chocolate was brimming with concentrated sweet dark chocolate and peppermint flavor, from beginning to end—with a smidge of fruit acidity from the cacao, and a trace of vanilla from Madagascar, shining through. 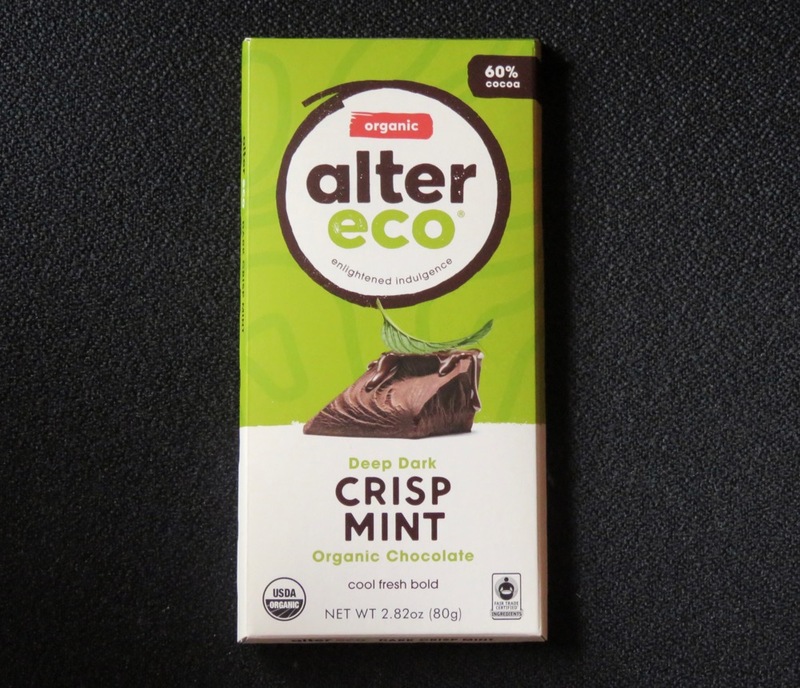 Today's dark mint bar was Certified Organic and Gluten Free, vegan, paleo-friendly, no emulsifiers, no soy and was made with Fair Trade Certified ingredients.